Is there an automated way in iOS that I can do that for only my iPad? 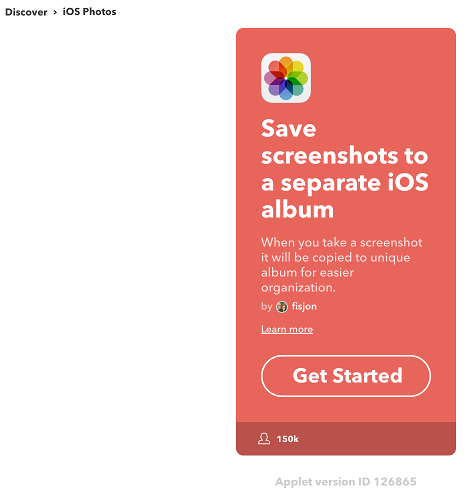 I found a way to do that in IFTTT but they detect any screenshot from all my iOS devices, even the one I took from my iPhone, and because of that it messed up the automation. Please let me know if there is another way to do this in a fully automatic manner. As an alternative, one way to accomplish this is to use the Shortcuts app by Apple, available on the App Store for iOS devices. Here is the App Store Preview link for Shortcuts. At the top of the Untitled Shortcut screen tap the Settings icon (the double switch). From here, you can give it a name and set the various controls, tapping Done when finished. The following is an image of the sample shortcut I created which, as initially set up, saves the latest screenshot to the e.g. iPad Pro album. The following image shows the result of running the shortcut pictured in the image above, and as you can see the last screenshot was of the shortcut I created. Obviously the screenshots were taken on my iPhone and are for demonstration purposes only, you'd install the Snapshots app on your iPad and use it there. You can also install and use it on your iPhone but its independent of your iPad install and not directly linked. Not the answer you're looking for? Browse other questions tagged ios ipad automator screen-capture . 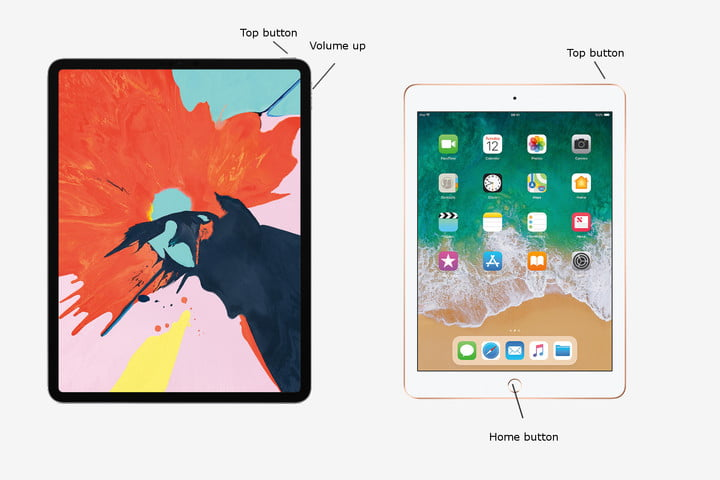 Use iPad as output device without iTunes? Can you save an iMessage drawing? iOS: auto-repair unreliable/malfunctioning Wi-Fi connection?